Last week, I shared with you several themes from the Holy Week of Christ that we can apply to our marriages. We looked at Palm Sunday through Wednesday last time, so today we will consider Thursday through Easter Sunday. May this be a Holy Week in each of our homes. At the Last Supper, Jesus washed the feet of His disciples. This was an act of humility and of service. Afterwards, He explained that He had come to serve and that true greatness belongs to the greatest servants. 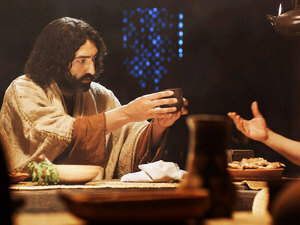 A little later, He offered the disciples a Passover cup and said, “Drink from it …. It is My blood of the covenant.” This action reflected a tradition from the Hebrew betrothal ceremony. When proposing marriage, a man would pour a cup of wine and then offer it to the woman whom he hoped to marry. If she accepted the cup and drank from it, she was agreeing to become the man’s covenant partner. Every time we drink from the communion cups at our churches, we are doing much more than remembering that Christ died for us; we are actually renewing our covenant commitment to Him. We are agreeing to share His cup, to share His suffering, to share His life with Him. No wonder the apostle Paul tells us that we should not take communion carelessly! It is a renewal of our covenant vows to belong entirely to Christ. Prayer: LORD, thank You for pouring out lavish love to me. Thank You, Almighty Creator and Ruler of the Universe, for humbling Yourself to wear human flesh and to suffer unimaginable agony so that I could enjoy a personal relationship with You. Thank You for serving me and for being my Covenant Partner. LORD, I want Your ways of humility, service, and commitment to fill my marriage. Pour out Your Spirit into my marriage through me. Help me to put more importance, significance, and attention on my spouse than on myself (Philippians 2:3). Help me to be willing to suffer, as Your wisdom directs, for the sake of my spouse, my covenant partner. Make me alert and sensitive to the needs that You are calling me to serve. Before You, I renew my commitment to my spouse. 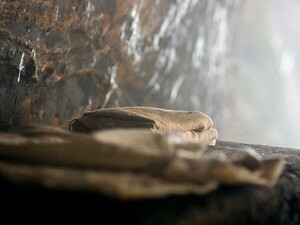 Action: This Easter, how is God asking me to serve my covenant partner? Where do I need to take off pride and put on humility (just as Christ took off His outer garment and put on a towel)? How can I renew my vows to my spouse—that is, how can I express my renewed commitment to him or her? Friday was the day that Christ was crucified at the Place of the Skull. There are many things that we can learn from that day, but what I would like to highlight now is something that happened in the Temple when Christ died. An incredible thing happened: the thick veil that had hung between the Holy Place and the Holy of Holies was torn in two, from top to bottom. This symbolized God’s move to destroy the spiritual barrier that had separated sinful people from Himself. Although we had been the ones to wrong Him, He took the initiative to reconcile. At great cost to Himself, through His own broken body, God opened a path for restored relationship. Prayer: LORD, thank You for tearing the veil so that I could experience a covenant relationship with You. Thank You for being willing to tear Your own flesh so that I could know healing and wholeness. Please destroy the barriers, whether small or great, between my spouse and myself. Please bring healing and wholeness to my marriage. Help me to be willing to take action, even at cost to my own comfort or preferences, as You direct me by Your Spirit. 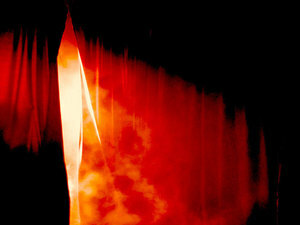 Action: This Easter, how can I “tear a veil”—that is, how can I take action to destroy a barrier in my marriage? On Saturday, the heartbroken disciples must have struggled with fear, guilt, huge disappointment, and probably even despair. They had expected Jesus to conquer the Romans and to provide political salvation to the Jewish people, and they had expected to be key players in that exhilarating action. Instead, Jesus had been crucified by the Romans, and the disciples had played the part of fleeing cowards. However, God was conquering in greater ways than they had imagined! God was preparing a glory for each Christ-follower that was far beyond their grandest hopes. Despite the horrors of the physical realm, God’s plan was right on course in the spiritual realm. What appeared to be utter defeat in the physical and temporal realm was actually a more-than-conquering victory in the spiritual and eternal realm. Prayer: LORD, thank You for Your marvelous plans for goodness and glory and intimacy and health and joy. Thank You for being a trustworthy God. I praise You for Your power to orchestrate every detail, seen or unseen. Thank You for keeping every precious promise. Thank You for being far more generous to me than I can even imagine. Thank You for redeeming the works of the darkness. Help me to trust Your unseen work in my marriage, as I yield to You. Help me not to lean on my own understanding, but to lean on Your promises. Reassure my fearful heart that, even though Saturday is dark today, the glorious Light of Sunday is preparing to spring forth. Action: As I think about my marriage this Easter, am I trusting my physical eyes instead of using spiritual eyes? Where am I doubting the goodness of God? How am I disappointed with God in my marriage? How can I trust that His plans are greater than mine? How can I cling to the promises of God instead of to my pain? 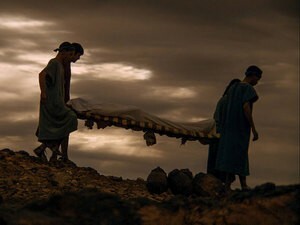 On Resurrection Sunday, several followers of Christ failed to recognize Him. They were focused on their pain and disappointment. They were aware of their own failed plans, and they did not comprehend His far greater, successful plans. But the Spirit opened their eyes to see God’s awesome work. When they saw what God had done, there was no regret or disappointment. They were overjoyed! Prayer: LORD, please open my eyes to You as You work in my marriage. Thank You for being the God who raises the dead to life. I praise You for being a God who delights in making things new and beautiful. I ask you to bring to life what has been dead in my marriage. Make our spirits and our relationship new and beautiful, full of Your truth and Your life. Thank You for being a God of Resurrection Power. 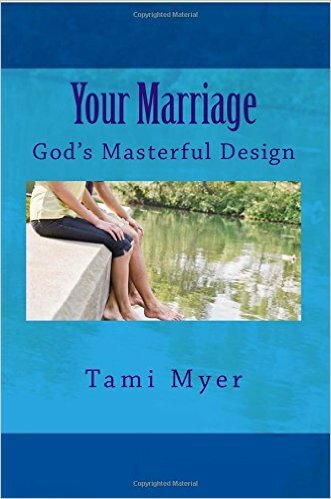 I lay my marriage before You, asking You to release that Power in my home., and I rejoice that You are working actively and forcefully for my good and Your glory. I am overjoyed that You are my Living God, and I rejoice in the Abundant Life that You pour into me. Action: In my marriage, how can I, like Mary, lift my eyes to see Christ before me? How do I need to quiet my spirit so that I hear His voice of instruction to me? How can I, like the believers in Emmaus, receive the Spirit’s gift of “opened eyes” so that I can recognize God in the midst of my marriage?